We wish to cordially invite you to our “‘Grape Harvesting’ Tournament”. This international hockey tournament is organised in Strasbourg by JSK – Strasbourg Hockey Club and will take place on the 1ST & 2nd September 2018 at our facilities of the Stade Paco Mateo, rue Colette F-67200 Strasbourg (France). relaxed atmosphere at a very fair price (40€ per player !!!). For more infos about the programm, the subscription to the Tournoi des Vendanges, you can download the information flyer on this page. To see the photos of the previous years, click here! JSK Strasbourg is a small team which plays a little-known sport in France. But above all, it is a team which is full of values. This is because field hockey is a dynamic team sport that requires a mix of speed, agility, dexterity, precision and self-sacrifice, all of which makes it a highly addictive sport! 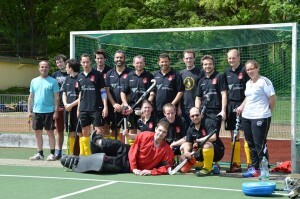 -> Become member of the JSK Strasbourg Hockey Club!